You don’t have to be a data scientist or statistician to gain some benefits of the machine learning craze going on right now. 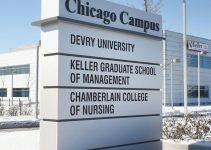 Don’t’ get me wrong, you should have those people around, but you can gain some benefits of machine learning without all the fancy degrees (Again, given the choice, you do want those people around). Cost can be a big factor for a small and medium-sized business (SMB) trying to gain some benefits from machine learning and predictions. Hardware, software, special coding skills for a specific language can start to add up. Azure Machine Learning can provide a robust machine learning environment as a service with minimal account of code. 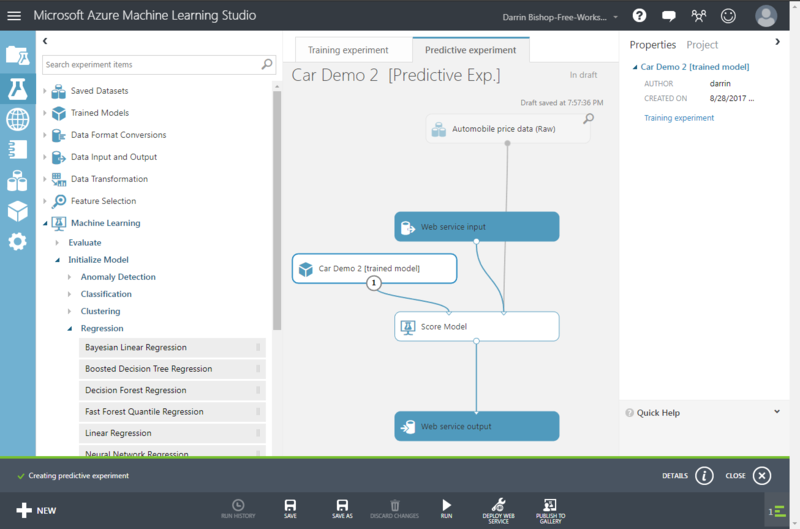 Azure Machine Learning provides a great way for the SMB to jump into the machine learning arena and start to get some benefits without diving into the deep end. Azure machine learning might be compared to SQL Server Report Builder and those who build reports using this tool. A great tool in the hands of a skilled report builder who knows the proper way to visualize data but also a very good tool for those with some but not as much training. Azure Machine Learning is a power cloud-based machine learning service in the hands of a properly trained individual but those with lessor skills can provide some benefit as well. I am not sure who originally stated “A little prediction goes a long way” but it fits well for the case SMBs jumping into the machine learning pool. Here are five reasons why I think an SMB should consider using Azure Machine Learning. Azure Machine Learning is an Azure service. Microsoft describes it like this: “A fully-managed cloud service that enables you to easily build, deploy, and share predictive analytics solutions“. This means that your SMB does not have to setup complex or large scale hardware and software resources to start down the road of machine learning. Pay as you go is the way to go while you get started. Consume as much or as little as you want when you want. 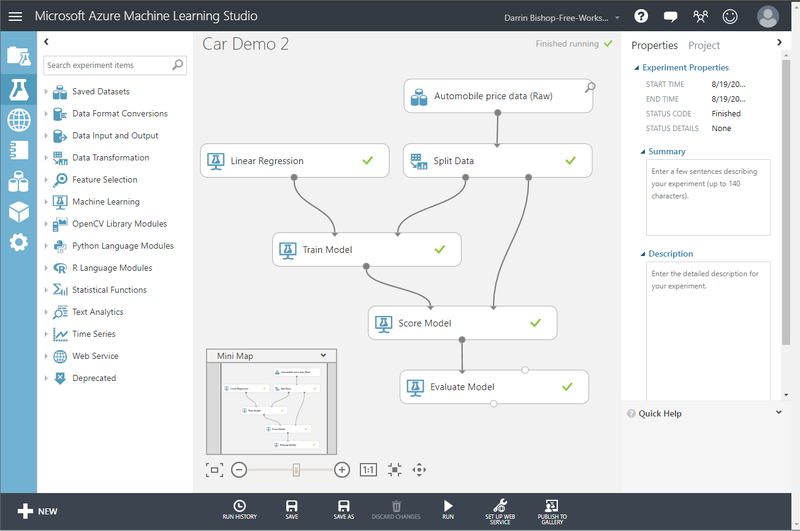 When you create Azure Machine Learning experiments you use Azure Machine Learning Studio which is a no-code or low-code designer. Drag and drop components onto a design surface, configure properties as required in a property editor pane and press buttons to test or publish as a web service. Need a little more kick than a no-code, drag and drop designer interface can provide, jump into R or Python code as needed. Handy way to do some complex feature engineering or explore your data with ggplot! While you can use R or Python you certainly are not required to do so. While you will need a basic understanding of the available algorithms Azure Machine Learning provides many well know algorithms in a drag and drop then configure form. You do not need to be able to hand calculate a linear regression or a decision tree, just have to know when you might want to use one over the other. When your machine learning experiment is tested and ready to be consumed by an app all you need to do is push a button and Azure Machine Learning Studio will create a web service based on your experiment allowing any application with valid credentials to pass in data and retrieve a result. One more button press after a successful test run will publish the web service for your secure use on Azure. Many other machine learning environments require a developer to operationalize the experiment. Azure Machine Learning does it for you. Azure Machine Learning can provide a nice, easy and powerful way for a small and medium-sized business to start to gain some benefits of machine learning. 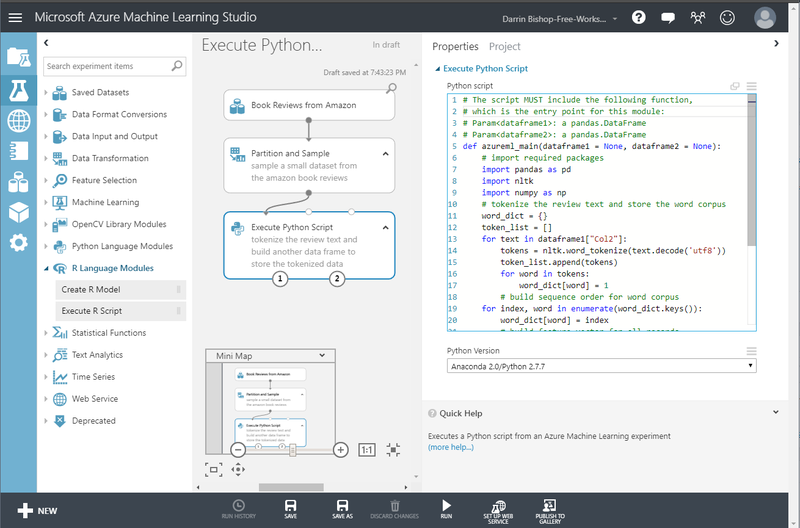 Azure Machine Learning Studio is a drag and drop environment making it easier for those with “less” training to start working with machine learning. 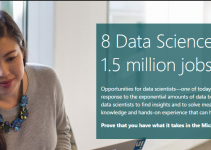 Azure ML is not a substitute for trained data scientist and machine learning engineers but it does have a lower barrier to entry. Just like Report Builder allowed the masses to build reports, Azure ML will allow the masses to gain some of the benefits of machine learning before we all move on to the next big thing. 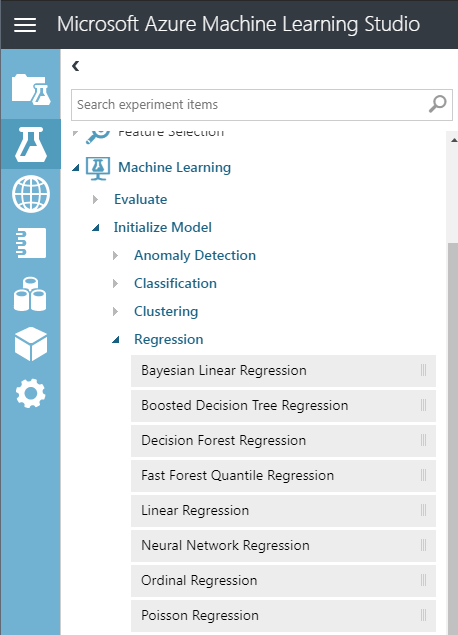 Azure ML is a great way to start bringing data science into your organization. Contact me if you want to get started using Azure Machine Learning or discuss how your organization can benefit from Azure Machine Learning!